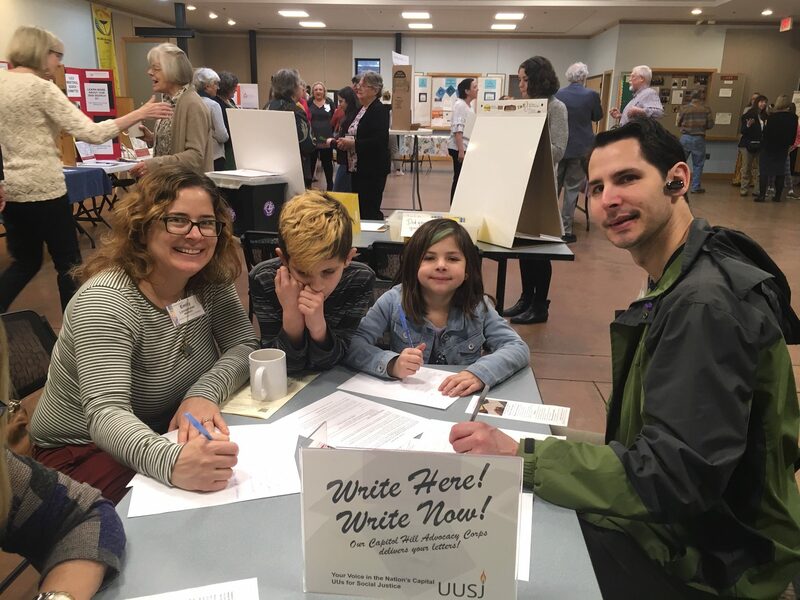 UUMFE is partnering with the UUs for Social Justice (UUSJ) for a “Write Here! Write Now!” letter-writing advocacy campaign during Spring For Change: A Season of Sacred Activism. 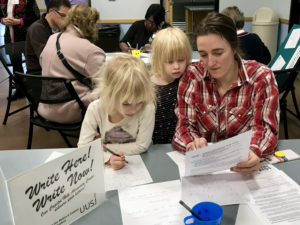 This year the campaign focus will be to tell our U.S. 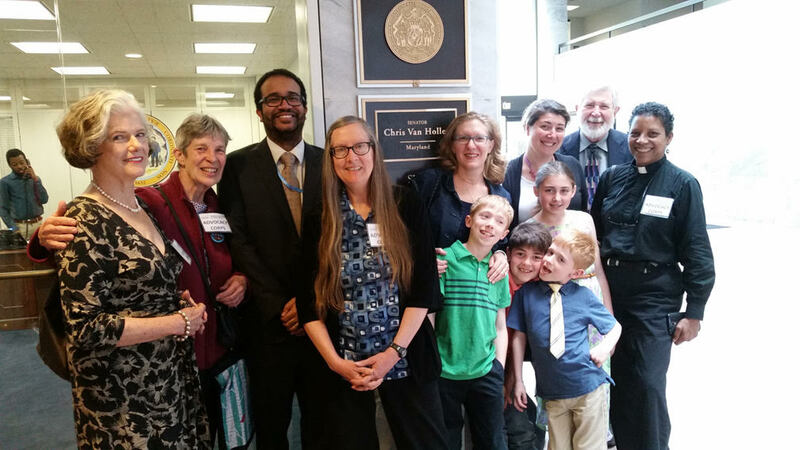 Senators that urgent action is needed to address the climate crisis. 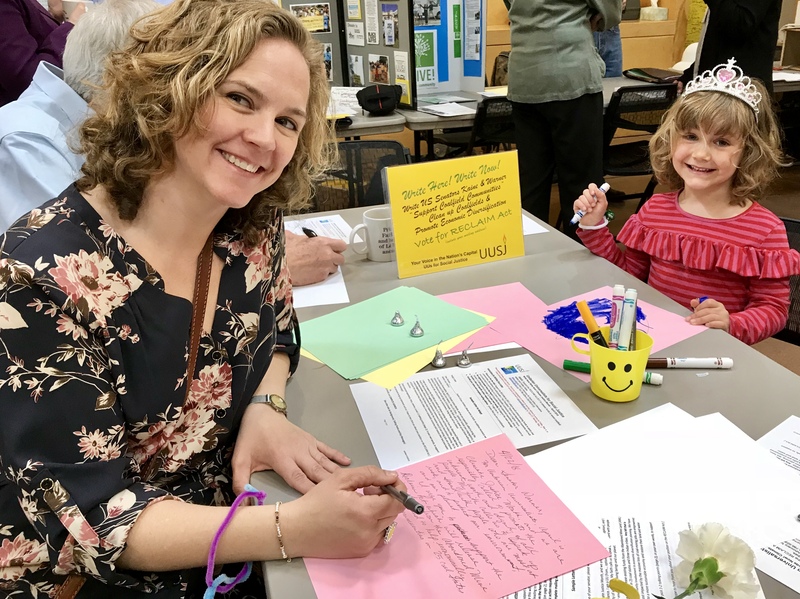 With the introduction of the Green New Deal resolutions and carbon pricing legislation, there is new energy and growing public support for addressing comprehensive climate policy issues. We want to urge our Senators to take action NOW! This is a great opportunity to involve children and youth and make this an intergenerational activity that engages the whole family — all voices are needed! 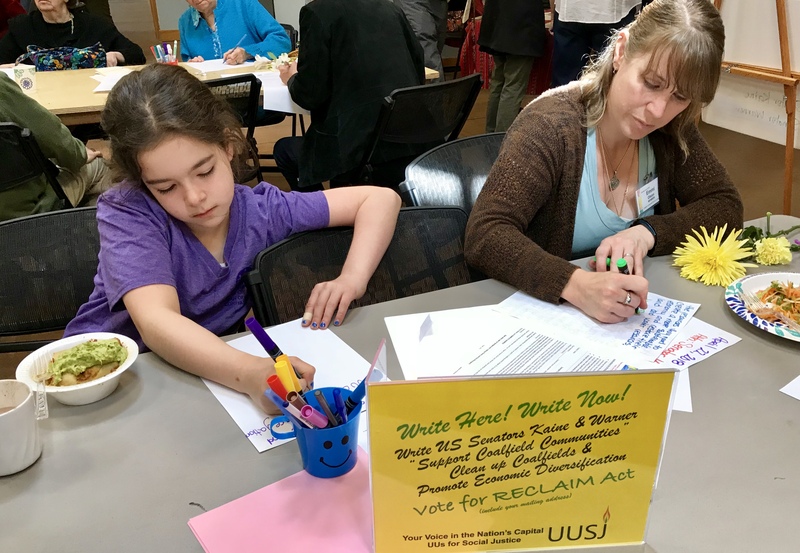 Last year, UUSJ delivered more than 530 letters calling on Congress to pass the RECLAIM Act, to release $1B for reclamation and restoration of land and water resources. 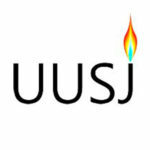 This year, UUSJ wants to deliver at least 600 letters! Let’s help make that happen. Gather a small team and organize a letter writing event at your congregation in April to write your U.S. Senators. 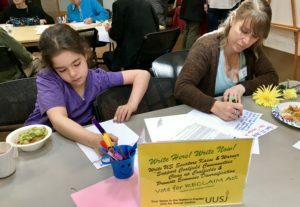 Mail the letters to UUSJ in Washington, D.C. Letters must be received by Thursday, May 9. The UUSJ Capitol Hill Advocacy Corps volunteers will then hand-deliver the letters to Senator on Tuesday, May 14.